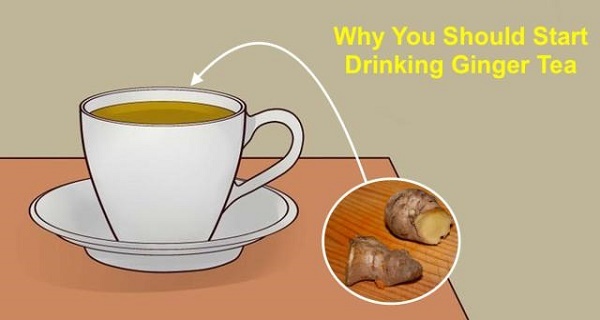 There’s nothing better than a steaming cup of tea to start your day.While green tea has its benefits, why not switch it up a little and give ginger a try.And if you’re still craving your matcha, you can always grab another cup in afternoon.Here are 6 reasons to drink ginger tea first thing in the morning. Chronic inflammation has been associated with cardiovascular diseases, diabetes, arthritis, Alzheimer’s disease, pulmonary diseases and autoimmune diseases (1). Ginger contains powerful anti-inflammatory compounds which protect the body from these ailments and eases inflammatory pain in the muscles and joints. Ginger contains active compounds called gingerols, and gingerdiol, which have antiviral, antibacterial, and antifungal properties. Ginger contains gingerols and shogaol, which stimulate the natural process of digestion and increases nutrient absorption. Ginger keeps your blood flowing normally by fighting markers of cardiovascular disease, like high blood pressure and high cholesterol. It also prevents stroke and heart attack by clearing away arterial plaque, a sticky mix of fatty substances and calcium which builds up in the lining of the artery wall and restricts blood flow. By fighting inflammation, ginger works against the development of cancer by preventing the promotion, survival, proliferation and metastasis of cancer cells. It’s been proven to work against lymphoma, liver, prostate, pancreas, lung, colorectal, breast, skin and bladder cancer (5,6). It’s particularly helpful in enhancing cognitive ability in middle-aged women . The root also acts as a sedative to helps relax an overactive mind and clear mental fog. Forget the tea bags, it’s just as easy to make it yourself! In the saucepan, bring water to a boil over high heat. Add ginger slices and reduce heat. Remove from heat and serve with honey.